Please make something modern that communicates that it is a company that deals with patio doors. They do not install patio doors. Very important, they only fix and replace/ repair "screens." Please see attached pictures to see examples. Winner will be chosen afterward to do the business card design, postcard design and website background design as well. 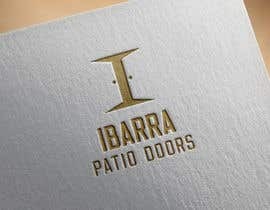 The name of the company is "Ibarra Patio Doors." Nice try. This is a unique work, unlike yours. hi i will join the contest, & i will submit my design within the one hour, ths.